Our Plain Omelette Patty is made from fresh, pasteurised eggs from our farms, and cooked to perfection. Our Omelette Patties are versatile, stackable and delicious, and gives you a home-cooked taste for your customers. 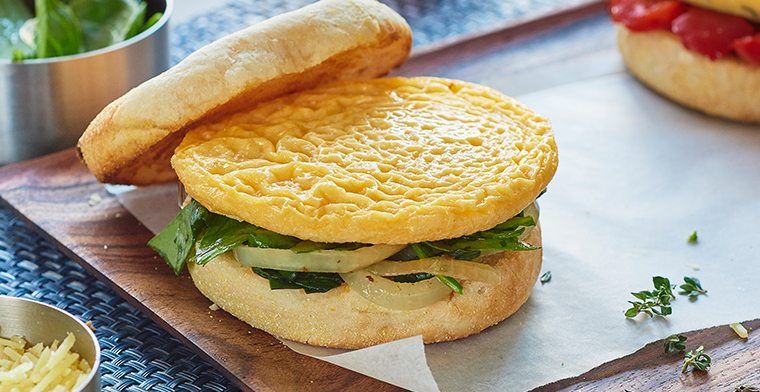 Our Omelette Patties are so versatile. Check out some of our serving ideas that will have your customers asking for seconds. PACKAGING: 60x50g carton in line. ALLERGEN: Product contains egg & milk and may contain gluten (wheat).